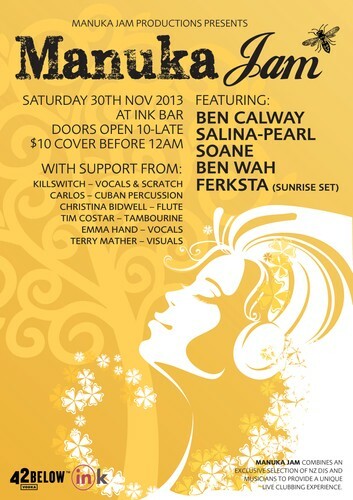 An Improvisational Jam session combining some of New Zealand's awesomest house Djs with musicians. Visuals by Pulpedvision and Decor by John Paul Moss. Come and celebrate one of the last events at Ink before the new law takes effect preventing entry to a club after 4am. As a farwell from Manuka Jam we have a cameo sunrise set from 5-7 am by the Notorious Ferksta well known for his early morning sets at the supper club! Get in early, lots of surprises in store!